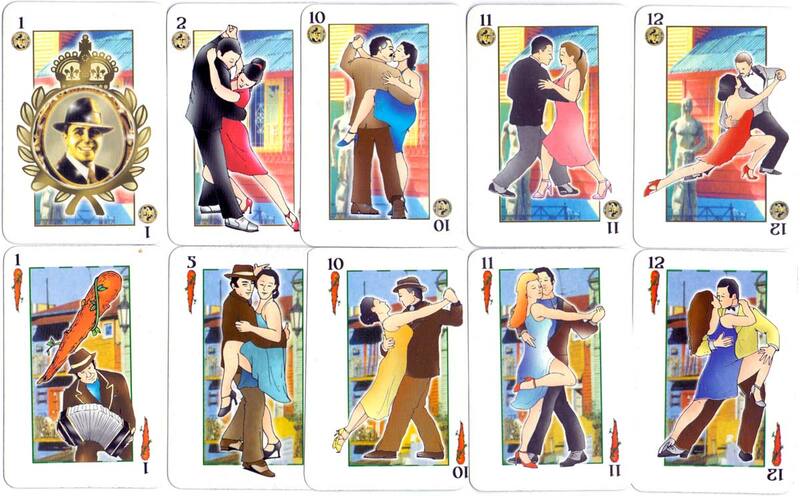 Spanish-suited ‘Tango’ playing cards from Argentina with illustrations of dancing couples on each card, c.2004. The ace of coins shows an image of Carlos Gardel. 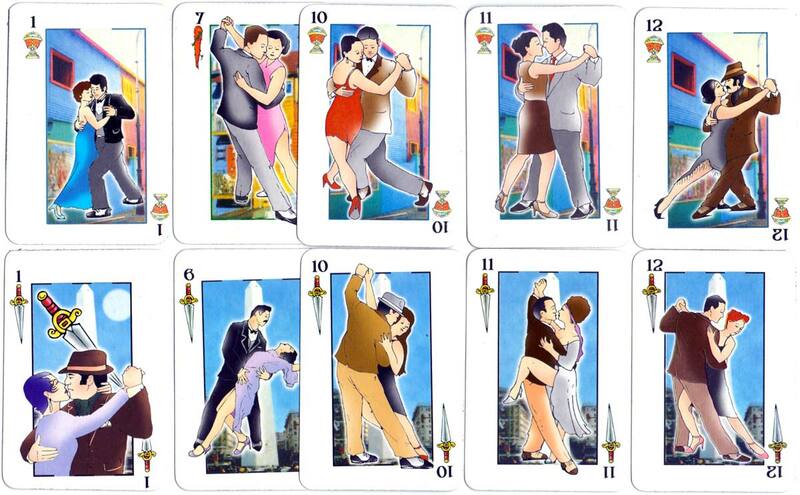 Above: ‘Tango’ playing cards from Argentina, unknown manufacturer, c.2004. 40 cards + 2 jokers in box, low grade quality.